The Metropolitan Police Service is the territorial police force responsible for law enforcement in Greater London, an area of 609 miles with a population of 7.4 million. 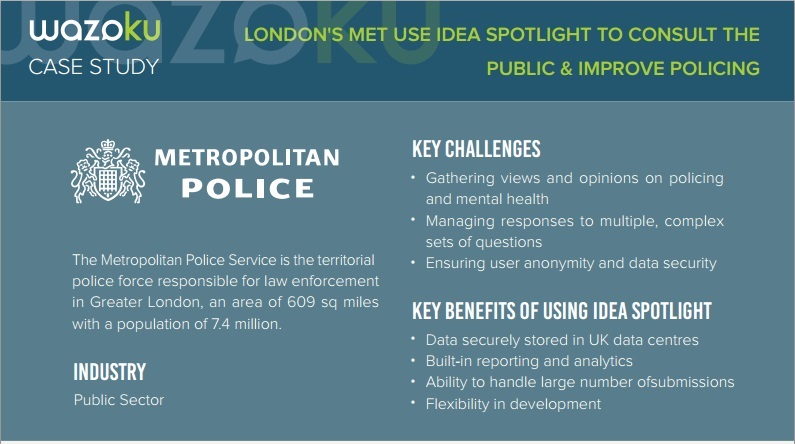 The Met used Idea Spotlight as a tool for interacting with the public to gain opinions on certain subjects. Through this process which lasted just over 5 weeks, they gained nearly 30 recommendations on improving processes.